Being in a car accident can be stressful and expensive - or it can not. 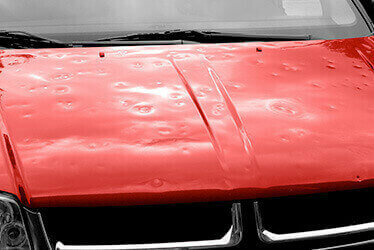 A smooth, reassuring and proficient auto collision repair process can take the stress away. So what should you expect from a process like that? Comprehensive assistance is a must. Your vehicle repairs shop should be by your side every step of the way, assisting with tow services, rental car, insurance liaising and more. You should also expect thorough damage inspection, which sometimes may include vehicle disassembly, to make sure there's no hidden damage before the insurance claim is filed. Of course, never expect anything less than expert structural and body repairs finalized by quality control inspections. During the entire process, which can sometimes be lengthy, you should be able to count on regular updates as well. Here at CARSTAR Auto Body Services in Kenmore, WA, we strive to do just that - be by you and your car's side every step of the way. You know how important it is to have a trusted auto collision repair center, but wouldn't it be great if the same auto shop will provide you with all other services you may need as well? Having a one stop shop for all your vehicle needs means less stress, more productivity and better end results. We strive to provide our customers with a well-rounded experience, which is why we offer more than just auto collision repairs. Contact CARSTAR #15147 in Kenmore, WA to learn more about our fleet services, paintless dent repairs or hail damage repair services. We are here for you 24/7.